Palo Santo mixes all aspects of pop music together to come out with something entirely new. A little bit synth, a little bit electropop, totally amazing. 2015 was a big year for Years & Years. They released their debut album, Communion, which took them from being a small band from London to a household name as it became the best-selling album of the year. 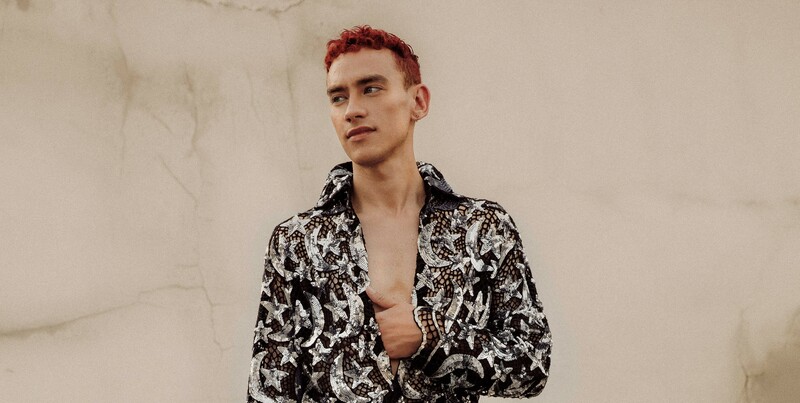 Much of their success can be attributed to front man Olly Alexander. Alexander’s charisma and performance skills are akin to Freddie Mercury from Queen. Similarly, he’s very present in the band’s follow-up album, writing many of the songs; however, much of the album was co-written with the other band member’s and other writers, giving each track its own unique sound. Since the release of Communion, Alexander (who is openly gay) has become a spokesperson for LGBTQ+ issues as well as an advocate for mental health awareness, and Palo Santo draws a lot on Alexander’s own family issues, his upbringing, and well as reflecting some of the challenges of coming out. Palo Santo snaps back at a very heteronormative music industry with a gender free attitude – because love is love. The first taste we had of Palo Santo was back in March, when the first single, ‘Sanctify’, was released. The song itself is about conflict, specifically the inner conflict of coming to terms with your sexuality. Although the lyrics are drawn from Alexander’s experiences, it is not specifically about him; rather that he is leading another guy astray from heterosexuality (“Walk through the fire with you / ‘Cause I know how it can hurt, being cut in two / And afraid”) and coming to terms with one’s queerness, which is not easy in a hypermasculine society. Yet Alexander understands the difficulty (“You don’t have to be straight with me / I see what’s underneath your mask”). The song is packed full of emotion, tied with a backing track which Alexander says draws inspiration from ’90s pop. Speaking to Annie Mac, Alexander said the most difficult song on the album to write was ‘Lucky Escape’. It is about toxic relationships. Following on with the gender free outlook common in the works of Years & Years, ‘Lucky Escape’ can be applied to any relationship and looking at a breakup as a positive (“And now you’ve got someone else to manipulate / I dodged a bullet / I made a lucky escape”), and about being cheated on (“Promiscuous boy / be ashamed […] / At least I own up to my mistakes”). In contrast to the majority of Palo Santo, ‘Lucky Escape’ is stripped back and raw, yet maintaining the iconic vocals that Alexander brings to the band. Simply put, it’s beautiful. Alexander brings the themes from ‘Sanctify’ and ‘Lucky Escape’ together in the song ‘All for You’, which is about a relationship that has failed because the guy isn’t staying true to themselves and embracing who they are. This may be because they aren’t comfortable with their identity and the relationship failed because of this (“And love’s a bitter fruit if you choose to remain in your shame”) and that they are more worried about how the relationship appears to others rather than caring for the other person (“You look like you’re so damn scared / I don’t think you really care”). The track has the typical electropop sound you expect from Years & Years and the pace is fast and upbeat, giving the track a triumphant tone. Overall, Palo Santo is not just an album, it is a work of art, it’s an experience. Alongside the album, Years & Years also released the Palo Santo short film – starring Alexander alongside Ben Whishaw and Dame Judi Dench – which reflects the album by imagining a retro-futuristic dystopia where the world is run by androids and very few humans remain, so become instant celebrities. The ’80s-inspired film blends flawlessly with the synthpop sounds of the album. Years and Years will also be doing an arena tour of the UK later this year, no doubt showcasing all that the fictional world of Palo Santo has to offer.